Today I began my 3rd and final year of law school. My last first day of school. Ever. Holy crap. When did I get here? I barely slept last night due to pain that is coming from an infection that I’ve been fighting since last week. So this morning when I had the chance to go back to bed before Remedies… I took it. Then it was off to Remedies from 11-1230 and the gym after. Did a decent job today. I’m going to keep this blog entry short because I have to be up at the crack of dawn for my internship and first day back in court. 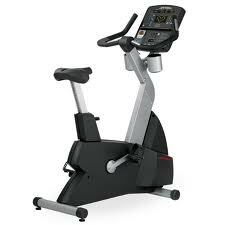 I did the upright bike for 16:12 – 3 miles with very little pain. I followed it up with squats and lunges (very few – didn’t want to push it) and lifted weights for my arms. I feel pretty good about this workout. My pain level tonight is minimal besides the headache that I am inevitably getting. I ate a lot today. But a lot of the food I ate was good food. Fruit, yogurt, veggies. Just a lot of small meals through out the day. Never felt my blood sugar get too low which was GREAT. I’m awful at letting it get too low. I’m bringing gym clothes to school tomorrow with me just in case I have the urge to work out but if not, I will take the day off. I really don’t want to get on this knee too fast. Though the 3 miles today did feel pretty damn good. I’m off to bed. Long day ahead of me tomorrow. A lot of things have happened in the last 3 years. Amanda got plantar fascitis and had to stop training, I got lazy again, I got busy with school and work, I applied to law school, took the LSAT, moved across country to CA and in with Amanda, survived two years of law school, one campaign season (Amanda), and her career advancement. I’ve interned at a few places, eaten at A LOT of places in my new town of Sacramento, and injured my knee. Needless to say, I gained approximately 30-45 lbs my first year of law school and relatively maintained my weight second year. I’ll start with the injury. September 30, 2012 I was coming back from Target, carrying a new litter box for our new cat Amadeus, Diet Coke 12 pack, and other school supplies into our garage when I tripped on uneven pavement. Not wanting to fall, I tried to catch myself basically propelling me into a run. Inevitably I fell. Straight on my knee cap. Now, this probably wouldn’t be that big of a deal if I weren’t already predisposed to knee problems. I am very knock kneed or in medical terms valgus aligned… especially in the knee that I fell on. This started a series of knee problems. Needless to say, I spent mid-June to beginning of August on crutches, doing physical therapy, crying, and on pain meds because I managed to re-injure it. It has been a very slow recovery. I first reinjured my knee on May 17th. The MRI results and xray show that my kneecap on my right knee is tilted laterally (outwardly). On top of that I have mild chondromalacia or runner’s knee. I have irritation underneath my knee cap where there is cartilage damage. The ortho doesn’t seem to think I need surgery for this and that physical therapy and exercise will prevail. I graduated from PT a week ago where I was able to spend 6 minutes on the bike and do about a mile. They said I was doing great and doing so much better – which is true. I am no longer on crutches. I no longer have pain to the point where I cannot go up and down stairs like a normal person. I still have pain though and it’s annoying. It’s this horrible joint pain. Ortho is saying patellofemoral pain syndrome and I just need to exercise and after tonight I’m starting to doubt him even more. I decided I was going to start working out again and graduate from PT exercises to doing 10-15 minutes on the bike until I could slowly work myself back up to 30 minutes/5-6 miles on the bike. I was going to wait until next week when school started because I actually have a bit of time in my schedule but got ambitious and went tonight. Here’s the problem: my knee does not hurt WHILE I AM EXERCISING. This makes it very hard to stop at an appropriate time – like 10-15 minutes without knowing that I am going to feel a very bad joint pain later on. So tonight I did 15 minutes which added up to a whole whopping 2.44 miles on the bike at a 5min mile pace and between level 4-6 resistance. I then decided to do leg presses and I couldn’t actually tell you the weight I did – I think the machine was broken. I’m very impatient but I think blogging about my journey and recovery is going to help a bit. I just want to get back to where I was 3 years ago or even pre-May. I want to walk without pain, be able to do the treadmill. I don’t think my knee will ever live up to a half marathon but my goal is to do a 5k in 2015. We shall see. It has been an incredibly successful three years but with success has come even poorer eating habits, weight gain, and injuries. My goal is to keep myself accountable for what I eat, how much I exercise, and I want to lose a little bit of weight. I would like to figure out if there is a way to straighten my legs out because this has made me very self-conscious and very self-aware to the fact that I am VERY knock kneed and especially on the right side. My mom even told me that they asked doctors when I was a kid if I should have leg braces and they said no – probably thinking I would grow out of this deformity – but here I am almost 25 and having massive knee issues because of it and feeling self-conscious because when I do a straight leg lift my right leg points right instead of ahead. Any suggestions for PFPS exercises, valgus alignment fixes, etc or just motivation and support are entirely welcome. My e-mail is BAU.Intern@gmail.com. Feel free to e-mail me rather than leave a comment or leave a comment. I am going to try and keep this up on a weekly basis or whenever I work out and post my results to keep myself accountable. PS – my mom hated this name 3 years ago and I’m sure she’s not going to like it now because “lazy” is not a good connotation to give oneself. Any name suggestions for this blog?